Essential components of the field "civil engineering" are the construction of embankments and the displaying of filling or rather excaveted surfaces. 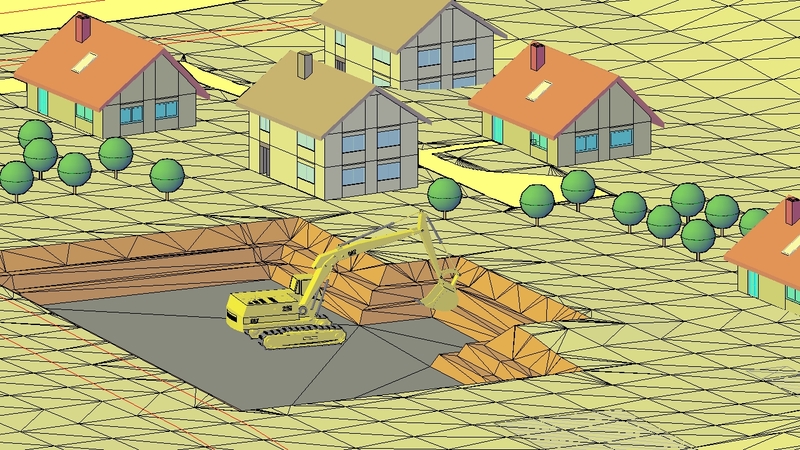 Our software is in accordance with these requirements and offers additional functions for the planning and further processing of constructed objects. The embankment calculation refers not only to a homogeneous embankment, also the creation of graded embankments (with integrated berms) is possible. A berm divides the embankment into several horizontal subareas, so that the earth pressure on the embankment foot is decreased. An embankment failure can be avoided therefore, e.g. at scarps. For the planning and calculation of the embankment, the embankment baseline must be defined. That can consist of 2D- or 3D-polylines. It is possible to define only one part of the selected lines as embankment baseline. The embankment can be charged in both directions from the embankment baseline. 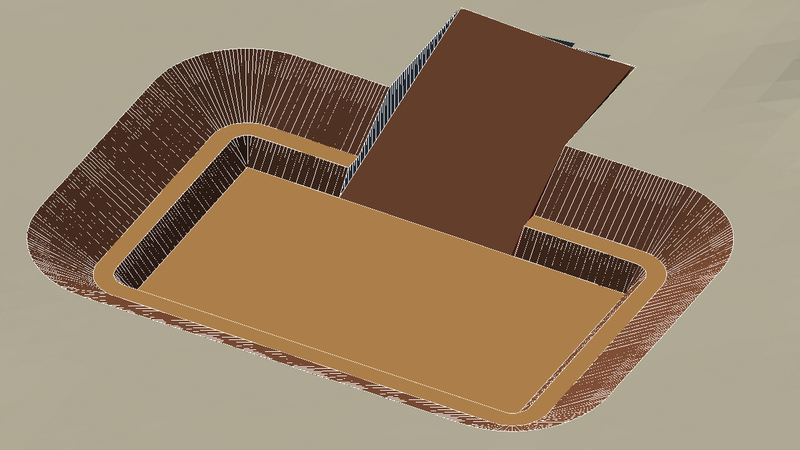 Alternatively the embankment calculation is charged from the baseline on an existing DTM or on a border edge. For the calculation of the embankment onto a DTM the embankment inclination is needed. This can be defined as a whole or only freely at singel stations. The software searches off the baseline the intersections with the terrain with the denoted inclinations. 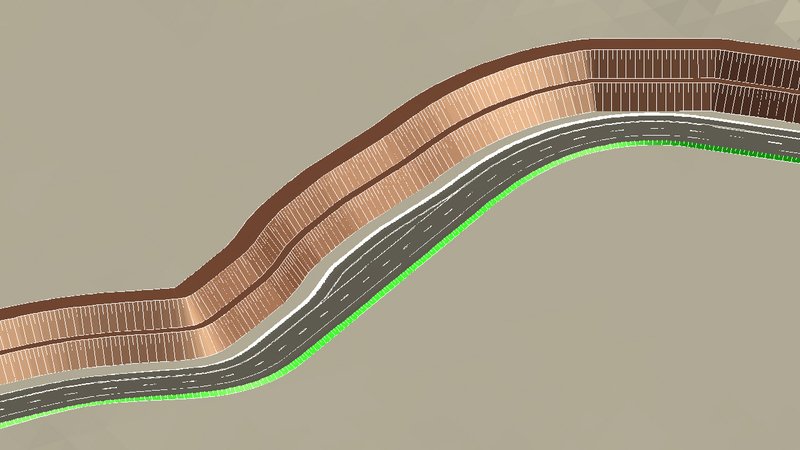 Through a controllable dialog the construction of embankment profiles (e.g. berm-embankment-berm-embankment) occurs. 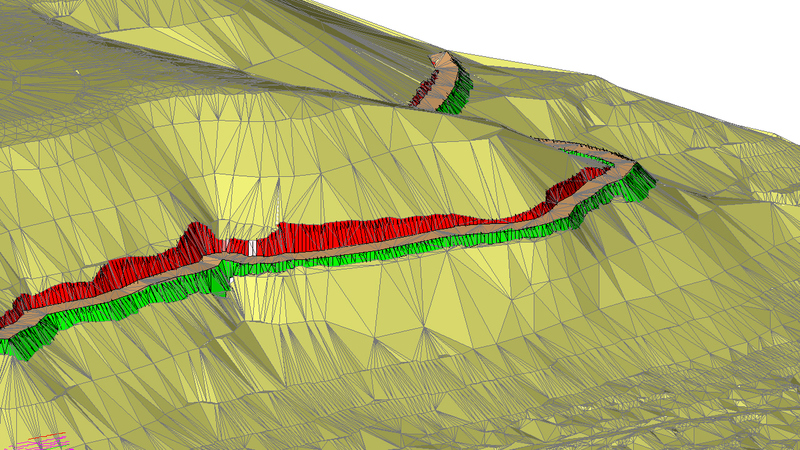 The defined composition can be transfered graphically in the CAD to influence the embankment profile interactive. This is integrated automatically in the embankment. The outcomes are executed as 3D-surfaces, so that it is possible to blend these with existing terrain models.